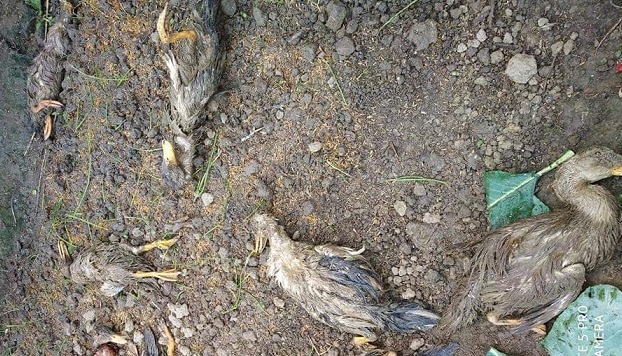 Though the incidents of mysterious killing of livestock in Manipur have gone down considerably over the past two days, however, the State Forest Department is yet to ascertain the identity of the predators in the State which are still elusive. Interacting with media at the headquarters of State Forest Department of Sanjenthong, on Tuesday, the chief conservator of forest (Wildlife), Anurag Bajpai said the department is putting all efforts to reduce the unusual phenomena and to give a confirmatory result of the investigation. He said that scientists who came from Wildlife Institute of India (WII), Dehradun are busy in installing cameras in the areas where the incidents of mysterious killing of livestock were reported. He added that out of total 24 cameras, 10 had been installed till Tuesday and analysis of the collected evidences will be starting from the night. He further assured of bringing up some confirmatory result within couple of days. Though proper analysis is yet to be started, by seeing the evidences that has been found so far, it is highly suspected that the responsible predator could be from a canidae family especially stray dog, wild dog or jackal, he asserted. He stated that 38 cases were reported and 140 livestock have been killed so far. However, the control measure taken up by department is effective to some extent as the number of cases is declining. He also appealed to the common people not to panic and instead follow some safety measures publicized by the department few days ago like to cage the livestock, proper lighting of the surrounding where livestock is kept, clean bushes in the surrounding areas of houses and most importantly to tie pet dogs during night hours and evening.